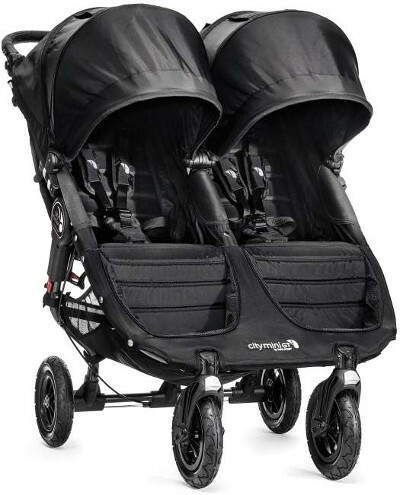 The Baby Jogger City Mini GT Double Stroller with all-terrain wheels that is suitable for off-road travel as well as bumpy city streets. 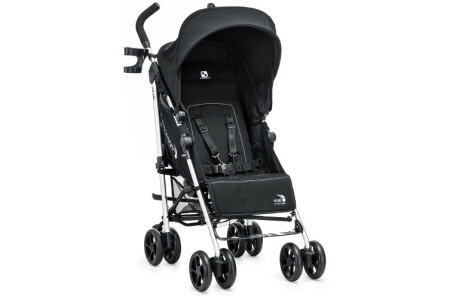 It folds up quickly and neatly and has an adjustable handlebar suitable for dad or a small sibling. 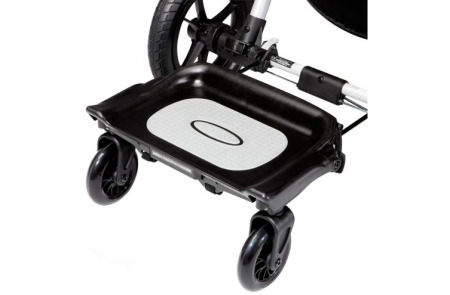 The parking brake is hand-operated, so you don’t have to balance on one foot to apply it. 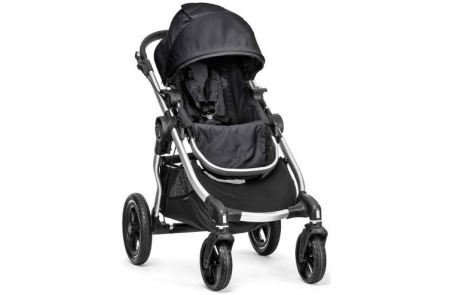 The 2014 Baby Jogger City Mini GT Double Stroller is well balanced even with children of different sizes, and you can maneuver it with one hand. It comes in several colors.